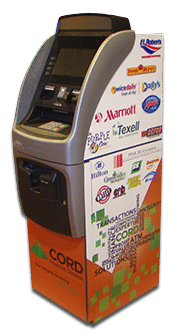 CORD Financial Services delivers ATM Solutions that can fulfill your business needs. It doesn’t matter what size your business is, the industry you’re in or where you are located. We provide business opportunities to c-stores, retail, hospitality, financial institutions, bars, restaurants, night clubs and many others. Click on any of the links below to learn more about the right ATM solution for your type of business. Or contact us for additional information.